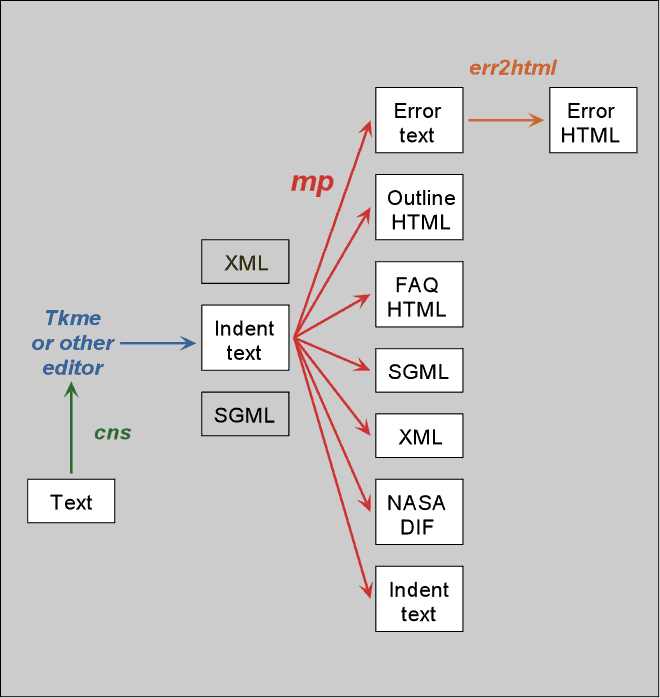 The diagram below shows the processing of a fairly complex metadata record from the editing process (on the left) through formal parsing, syntactical analysis, and generation of human- and computer-readable reports (on the right). Boxes indicate files; their labels show the format of those files. Arrows indicate the processing done by specific computer programs. Names of the programs link to the web pages in which those programs are documented.